German gaming officials are headed back to the metaphorical drawing board after the Hessian Administrative Court (Hessische Verwaltungsgerichtshof, or VGH) on Monday dismissed an appeal by German officials to overturn an earlier ruling from May which led to a temporary blocking of Germany’s ongoing plan to issue a limited number of online-gaming operator’s licenses. The case, brought by the German state of Hesse, alleged that the implementation of licensing and application protocols as designed under Germany’s 2012 State Treaty on Gambling were unconstitutional, in that they took away the rights of both Germany’s federal and state-level governments to regulate these gambling matters. 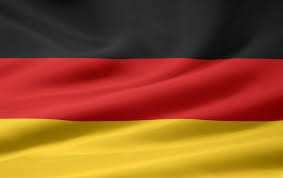 Among European companies, Germany is perhaps most similar to the United States in gambling regulation; Germany’s 17 individual states have wide latitude in determining the gambling activities and access for their citizens. A second aspect of the case was that the multi-tiered applications process for the limited number of licenses to be issued was very much a “black box” affair. The standards used to determine were at best opaque, at worst themselves illegal, and led to widespread protests by established EU gambling companies who were nonetheless winnowed out of the running at various stages. Several of those filed formal complaints, which has also led to the European Court of Justice (ECJ) to issue its ruling declaring the German licensing plan to be in violation of EU treaty. However, with the dismissal of Germany’s appeal by the Kassel-based court, the ongoing ECJ case likely becomes moot. All licenses issued by Germany are expected to be declared null and void, leaving Germany to scramble to replace it with a licensing system more equitable to all operators wishing to do business in the country, which is Europe’s second-most populous, after Russia. Monday’s appellate ruling affirmed the lower administrative court’s findings that the activities of the “Gambling College,” the term used to describe the regulatory commission charged with issuing licenses under the 2012 law, was in effect a new level of government. The Gambling College was determined to be neither federal nor state, which violated the governmental principles of Germany itself. By transferring the ultimate decision for issuing online-gaming licenses to the Gambling College, a VGH statement on its ruling declared, “The sovereign actions of the Gambling College could be attributed neither to the federal government nor any of the member states.” Describing this as a “breach of the principle of democracy,” the VGH statement detailed that the activities of the Gambling College represented an unconstitutional “third level” of government which attempted to exercise sovereign powers. The VGH statement went on to castigate the Gambling College, and to a certain extent, its federal-government designers, for the “black box” approach of its multi-tiered application process. Several of the criteria for applicant operators to advance in the process were deemed themselves unfair, with the VGH ruling highlighting one – “most economically advantage tender” – as being particularly egregious. 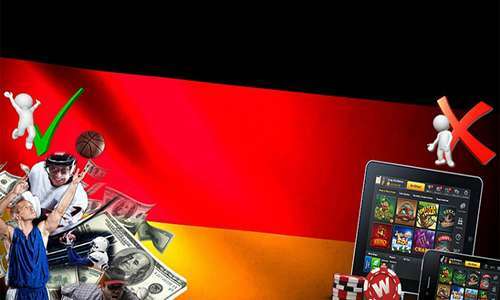 The existence of that and other qualifiers in the applications process made it appear that Germany’s gaming regulators were looking to maximize potential revenues with a minimum or expense and work. Germany-based companies, as opposed to those fully licensed elsewhere in the EU, made up a disproportionate percentage of the firms who were issued licenses. As the VGH rulings noted, such inequities made up a large part of the ECJ-based complaint, even if the federal government’s appeal would have failed on other grounds anyway. The dismissal of the appeal means that the decision in favor of the State of Hesse is final; no other, higher appeals court exists in Germany that could possibly hear the case. As a result, the licenses issued under the 2012 Treaty framework are expected to be declared null in the near future. How that affects taxation already remitted to the German federal government under the terms of those licenses remains to be clarified.